Dana is a graduate from Sir Sandford Fleming College, Peterborough. She practices traditional Swedish massage, Cupping Therapy, and deep tissue techniques. 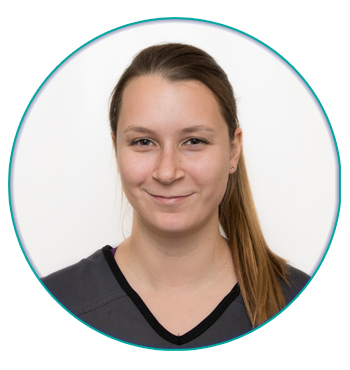 She enjoys working with clients of all ages and providing a variety of orthopedic treatments. As a recent graduate, Kawartha Care Wellness Center has given me the opportunity to begin my career as an RMT in the heart of my hometown. Staying in the roots of my community, it allows me to feel closer to my colleagues, and more importantly my clients. Working here I have become a part of a strong, educated professional team, which allows me to learn from not only my own experiences but of others as well. Dana is passionate in seeing results when it comes to a client’s progress. Knowing that symptoms such as muscle pain, stiffness, tension, inflammation and stress have been reduced due to her treatment sessions are what drives her to continue learning and practicing as an RMT. Aside from traditional treatments, Dana hopes to continue to build her skills and knowledge in various modalities.